"The setting up of PNGSDP and the long term fund is typical of global multinational corporations around the world, setting up complicated structures to escape responsibilities for damages they do to the environment and the lives of people," Mr Kua said. "The real issue was the massive damage done to the environment by its mining activity, and the potential massive liability they faced. "They forced us into a clever deal, so that Parliament gave them immunity upon exit. But they did not live up to their part of the bargain by paying the compensation they promised. They instead met us halfway, by setting up this fund overseas and placed it in the hands of independent nonelected people who represent no one and report to nobody." "The Prime Minister and govern-ment have my support to get to the bottom of this, and to return to the State what it deserves," he said. 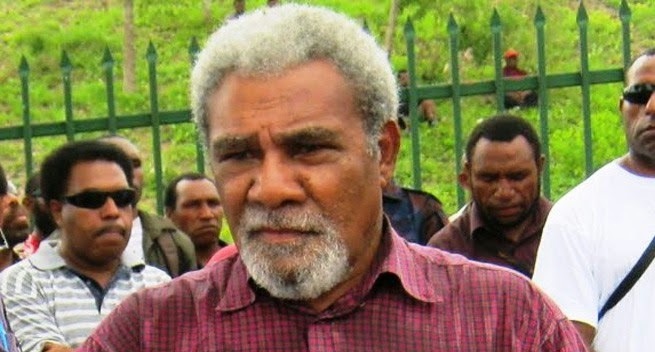 Public Service Minister Sir Puka Temu, who was a member of the Eminent Persons Group that negotiated without success with Sir Mekere’s board, told Parliament in one of those meetings he almost leaned over to punch Sir Mekere. "We were genuine and we made concessions to PNGSDP. But Sir Mekere and his group were not. I don’t know who they represent. "We should have struck a deal in February, but we did not. The people of Western province are still waiting to benefit from what is rightfully theirs. I call on Sir Mekere to step down voluntarily," Sir Puka said.